Integral may be a new name to some but they have been in the memory business since the late eighties with all the design, R&D and testing of products done in the UK. The company has a wide portfolio of SSD’s from M.2 drives up to specialist hardware encrypted drives using military level AES 256-bit encryption. The latest drive to be launched from the Integral stable is the monster SVR-PRO 100 SRI drive range. Why a monster drive? 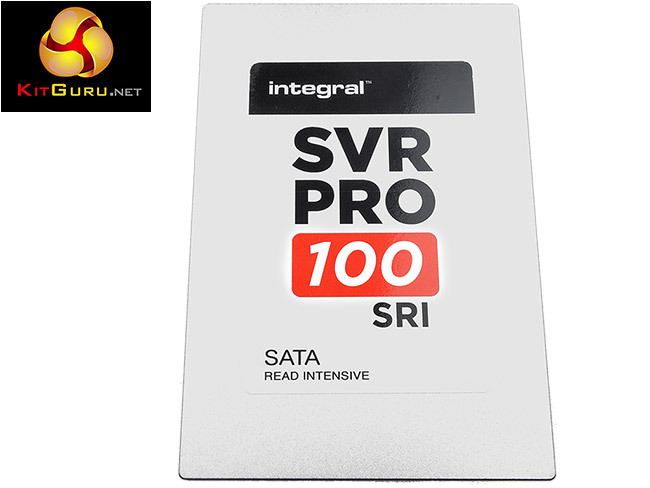 Well currently there are only two models in the SVR-PRO 100 SRI lineup, a 4TB model and the flagship – the world’s first 8TB drive. 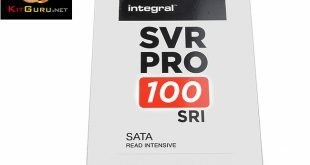 For the SVR-PRO 100 SRI, Integral has teamed up with Korean Flash specialists Novachips to equip the drive with a unique storage control architecture called HLNAND. HyperLink NAND (HLNAND) uses a point-to-point serial daisy-chain topology to connect memory devices in a single memory “Ring”. Each of these rings can support up to 255 memory devices and as each HLNAND device is directly connected the next one in the ring, it’s driving a single point load. This means that there is no degradation of bandwidth regardless of the number of devices attached in the ring. 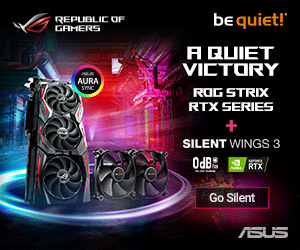 This offers the potential of some truly huge capacity drives in the future. 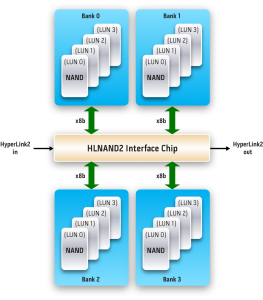 HLNAND is not a new form of memory direct from silicon like 3D NAND for example but instead it uses standard MLC NAND components. Novachips do not make their own Flash, NAND wafers and dies are sourced from other vendors. 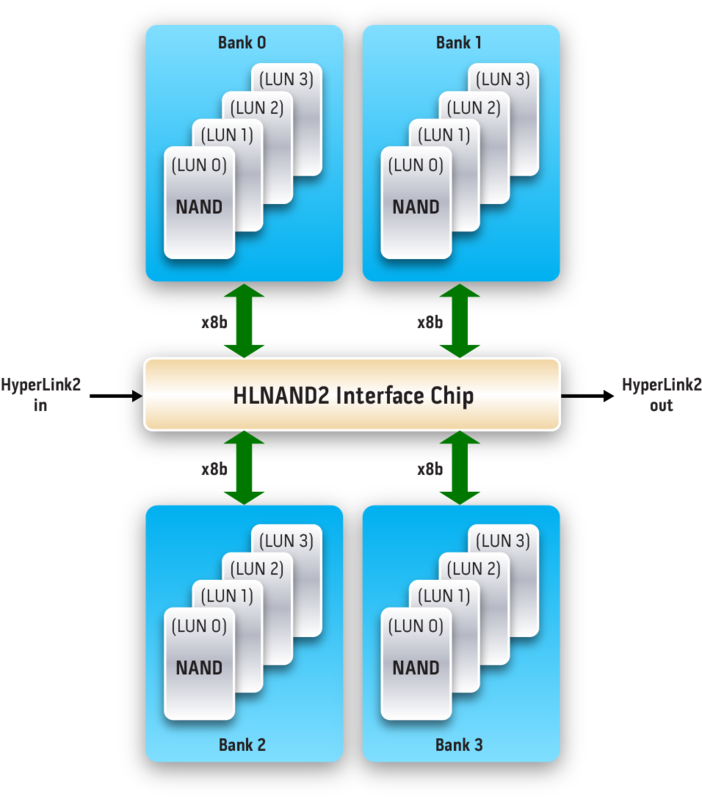 For HLNAND, Novachips has added an HL (Hyper-link) bridge inside the NAND package at the base of a die stack which is used instead of the usual connection out of the package. 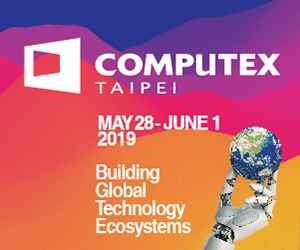 Conventional NAND needs requires a Chip Enable (CE) signal for each package whereas HLNAND only needs a single CE signal per ring regardless of how many devices are attached, lowering power consumption. Despite the new architecture, the quoted 4K random read/write performance of the new drives is pretty conservative. The 4TB drive has a Sequential read speed of up to 551MB/s with writes up to 517MB/s. Incidentally, the 8TB drive has the same read/write figures. The quoted 4K random performance is up to 52,000 IOPS for reads and 77,000 IOPS for Writes (the 8TB drive is slower – 49,000 IOPS reads, 72,000 IOPS writes). 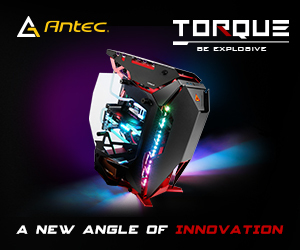 The quoted endurance of the drive is an impressive 1000 TBW and Integral back it with a 5-year warranty. Nvidia's latest Turing-based graphics card arrives in the form of GTX 1650 - but is it worth buying?